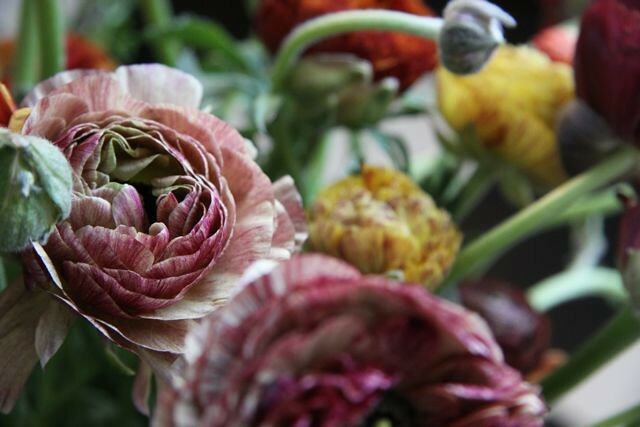 We've been up and down the coast of the golden state sharing these amazing ranunculus with you. Here's just one from our first LA class. We're off to set up for our class in Berkeley today at June's beautiful store and studio and Heidi is cooking up some recipes from here new book for lunch! We'll have tons of photos to share with you very soon form all three of these awesome classes. seems amazing! can't wait to see more pictures!